My last few days in Zagora were complete pandemonium, including lots of goodbyes from friends, colleagues, and even people I barely know. Now that my last day has arrived, it all feels so surreal. I spent the last several hours with my favorite family, chatting and laughing, singing and playing. 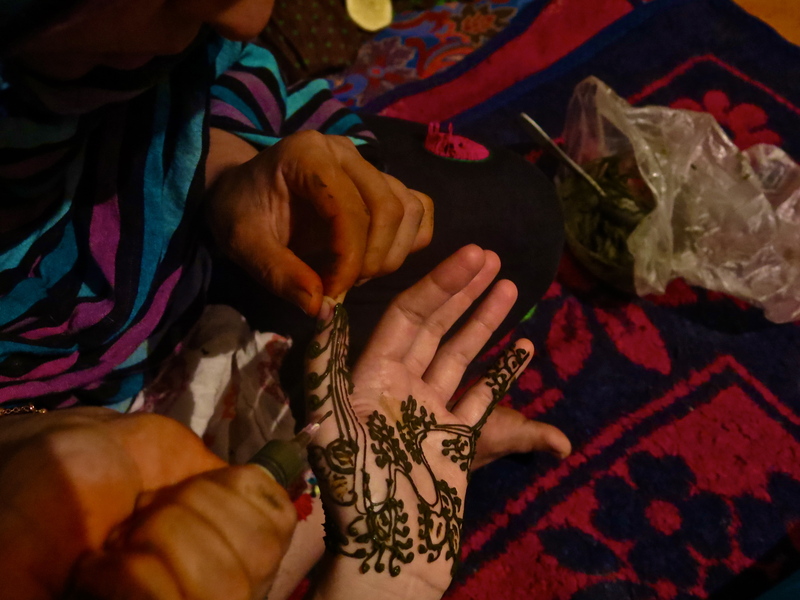 They gave me henna on my hands and feet, and the older brother gave me a gorgeous painting he’d made. The entire family walked me the entire 30 minutes back to my house at 2am and started bawling during final goodbyes. Goodbyes are always tough for me, since I think my brain just refuses to process that I might be seeing people I care about for the last time. My time in Morocco hasn’t exactly been a cake walk, but I know I’ll return to see the people I care about again. The views expressed in this blog are solely those of the author, and do not represent those of the Peace Corps, the United States Government, the Kingdom of Morocco, or any other government or organization referenced. Reproduction of any part of this blog requires the express permission of the author.